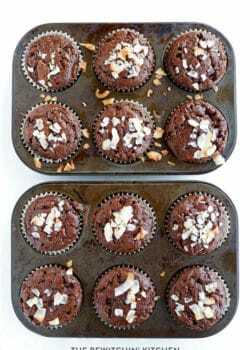 Looking for a tasty, but easy option for breakfast? 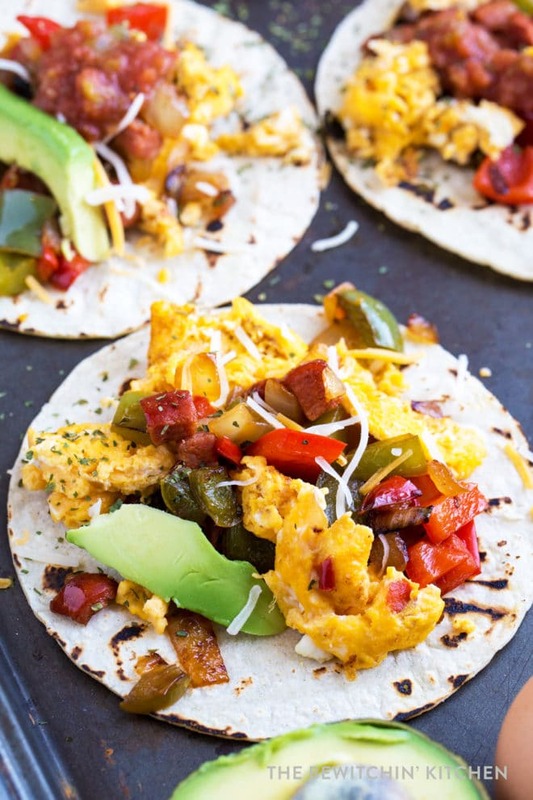 Try these chorizo and egg breakfast tacos – you don’t need a lot of ingredients to pack on the flavor! Disclosure: This post has been generously sponsored by BC Egg, the opinions and language are my own and in no way do they reflect BC Egg. I love tacos and so does my son. It’s one of the only ways I can get him to eat dinner with no complaints, I usually just have to hand him some chicken, homemade tortillas, and lime and he’s a happy six-year-old. 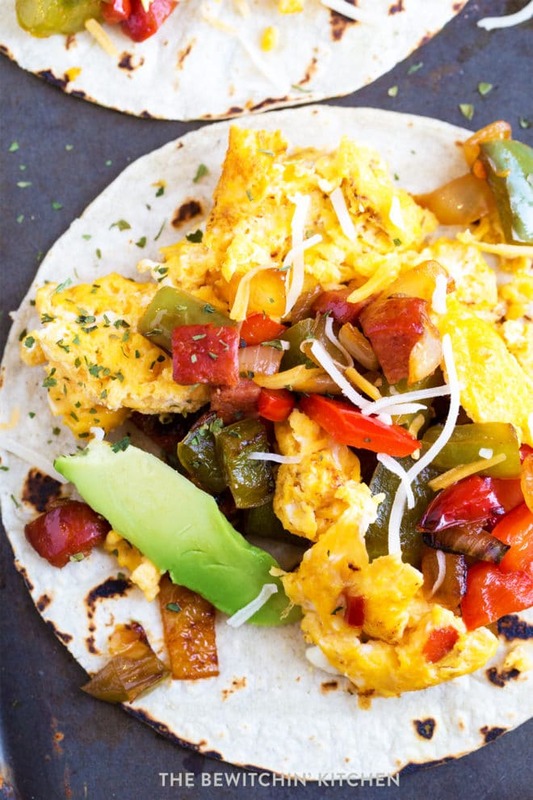 Breakfast isn’t as easy, so as I was thinking of egg recipes for this post it hit me – breakfast tacos. I live in British Columbia, this province has incredible resources for tasty and nutritious foods. I’m incredibly lucky to live in a province that has incredible farmers for fruits, vegetables, chicken, and eggs. Whenever I’m shopping at our local grocery stores, I always look for BC Eggs. Why? Randa’s Tip: See the blue logo on the egg carton above that says BC Egg? That’s how you can find eggs from BC Egg at your local grocery store. BC Egg Farmers care about their hens and ensure they’re well taken care of. I love the fact that the farms are family owned and many of the farmers raising the hens are a second and third generation in the family business. Regardless of whether the farmer is a third generation farmer or a newbie to the game (like Rob, seen in the video above). Registered BC Eggs have high standards. 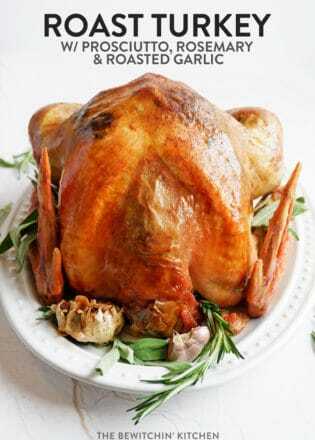 They arrive in stores 4-7 days from the time the hens lay them all while being held to the highest standards of cleanliness, quality, and freshness! The majority of the hens are housed for their safety due to predators and weather (we are still in Canada after all), but they’re anything but your typical chicken coop. In caged systems, they have a special system that separates waste from the hens themselves. In addition to this, the hens are carefully monitored by the farmers and because of this housing system, it reduces the need for veterinary care. The health and safety of the hens and chicks are held to a high standard with BC Egg. 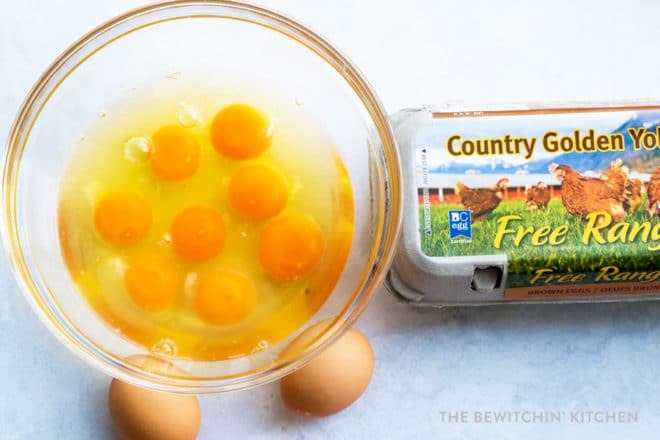 There are many kinds of eggs: free run, free range, organic, omega enhanced, white eggs, brown eggs, and processed liquid eggs (with or without yolks). The farmers are also happy to produce any type of eggs consumers want. For instance, farmers will switch to producing more cage-free, organic or omega eggs if consumers want them! All of which meet the highest BC standards. 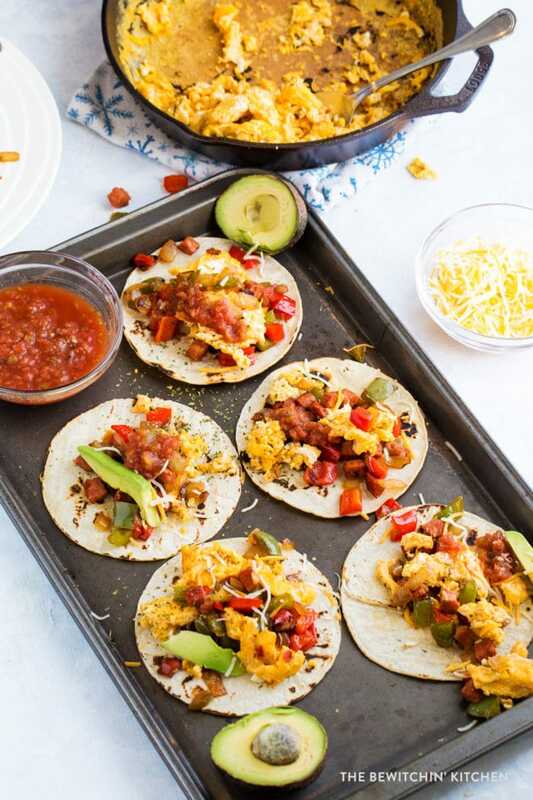 Learn more about BC Egg by visiting the BC Eggs website and try out BC Eggs for yourself with this delicious recipe below! It’s hard to put into words how amazing my kitchen smelled while I was frying up the onions, bell peppers, and chorizo sausage. This partnership, combined with eggs – oh my gosh. Talk about breakfast heaven! 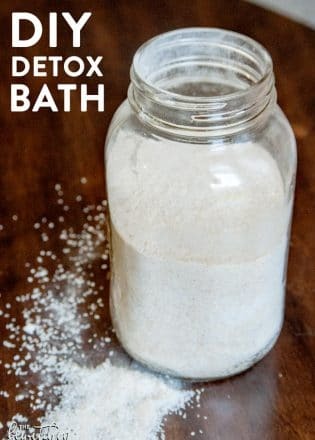 The best part is the dynamite taste that makes you believe it took time in the kitchen to create, whereas in reality, it was a few simple ingredients and fifteen minutes at the most! 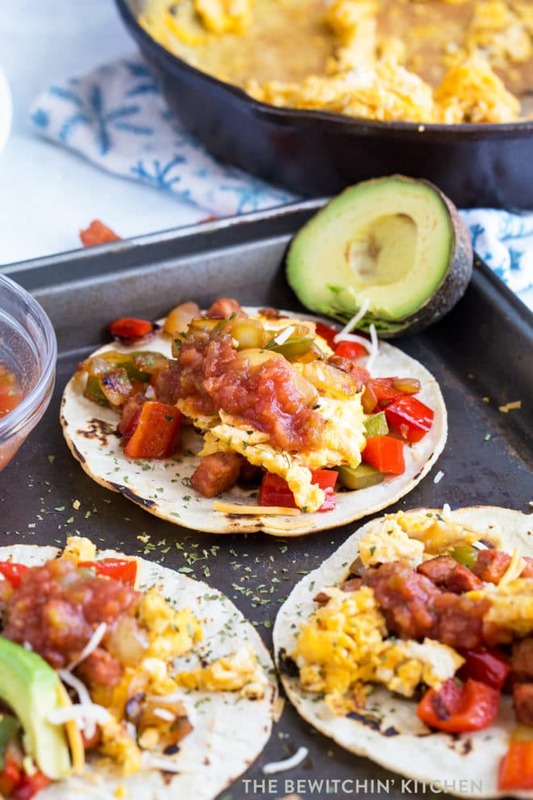 I personally used corn tortillas to make these gluten free breakfast tacos, but you can use whatever you like. Note: I didn’t season with any salt and pepper as I found that the chorizo was already salted and packed enough flavour. However, feel free to season to taste. 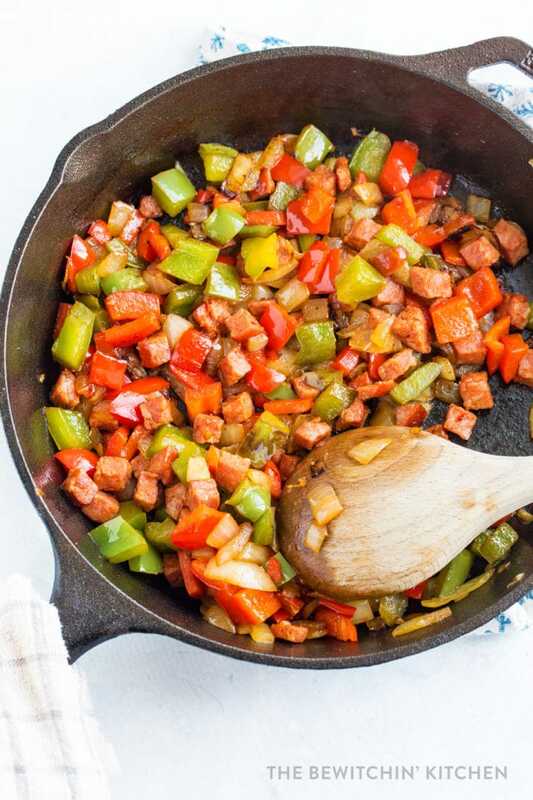 This fast and easy breakfast recipe combines the flavors of chorizo sausage, bell peppers, onions, eggs. In a large skillet heat oil and add the onions and bell peppers and saute until they begin to soften. Add the cubed chorizo and scramble fry for a few minutes (until heated and fragrant). Set the chorizo mix aside. Crack the eggs in a bowl, and beat with a fork. Spray the skillet with nonstick spray (or add more oil) and add the eggs. Scramble until cooked. 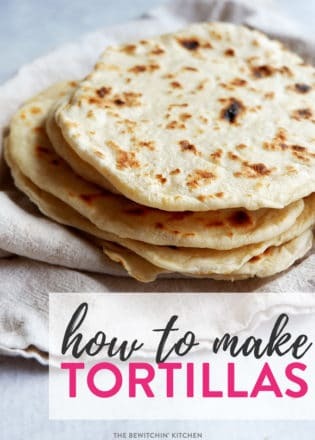 Warm the tortillas by wrapping them in a towel or paper towel and microwaving for 15 seconds. 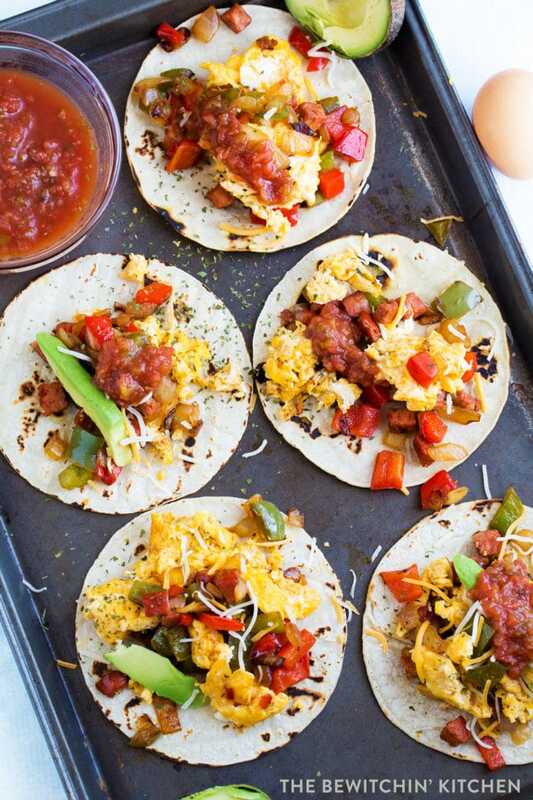 Arrange the breakfast tacos with eggs, chorizo mix, and optional toppings of salsa, avocado, and cheese. I have not eaten breakfast yet, you are making me drool! 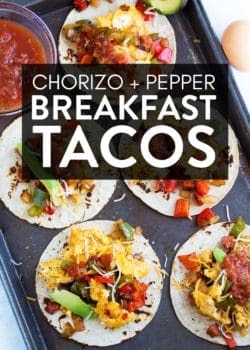 I am doing low carb, I so want to make these I just need to find an alternative to the tortilla. 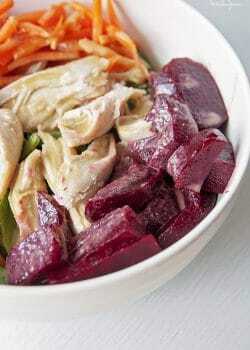 I like that this is nice and hearty and will fill you up! This looks like the most delicious way to start the day! 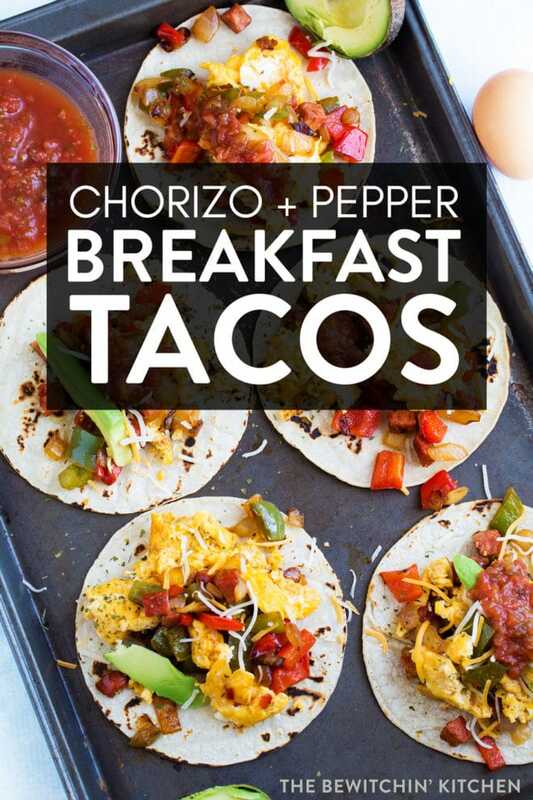 My family is big on chorizo but I never make it for breakfast – great suggestion! 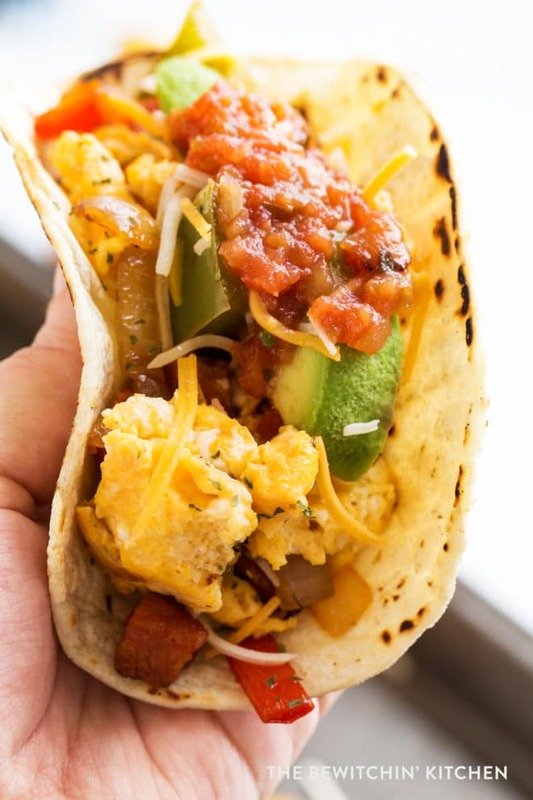 That is one yummy looking breakfast taco. I tried chorizo for the first time a couple of years ago and oh my. I love it. This looks really good! Perfect for our next taco night! What a delicious breakfast! 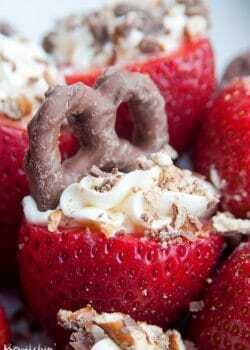 I make this all the time for my kiddies! I’m loving this breakfast so much. Now I know what we’ll be having this weekend or on Memorial Day. Love chorizo!